With a focus on physical achievement, body health and wellbeing, this mantra helps you stay focused and motivated, full of self-belief. It acts as a powerful reminder that your mindset is the single most important factor in any physical achievement. This mantra was one of many that Mantra Jewellery Founder, Jo, used to get her through the London Marathon. It acts as a powerful reminder that your mindset is the single most important factor in any physical achievement. 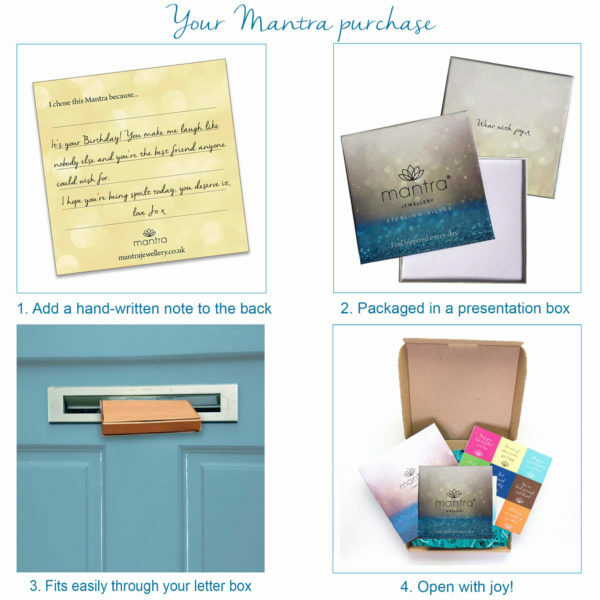 Mantras are positive phrases, written to have a powerful impact on how we feel. A mantra motivates us; it energises us and creates self-belief. Hold your necklace from time to time, and say its mantra a few times, to give yourself moments of calm and focus. Mantra Jewellery creates a timeless and very personal way of being inspired by your mantra, whether you buy it for yourself or are given it as a gift. 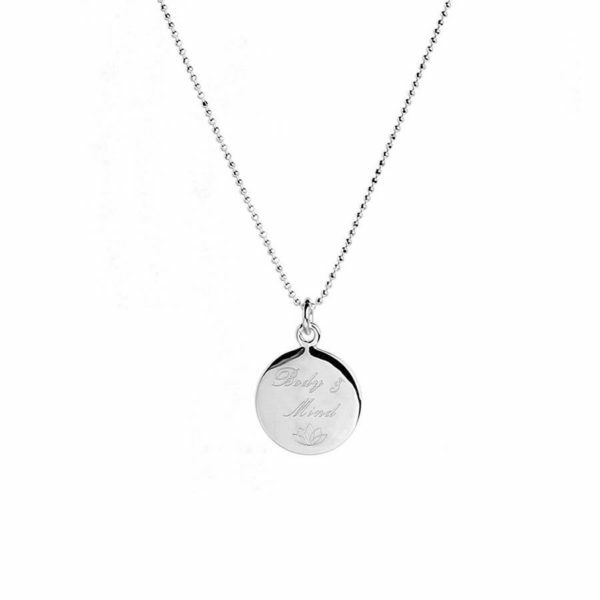 Wear your Mantra Jewellery to feel uplifted and positive each day.